← Smiles were bright at the Special Kids Rodeo!! Only 46 tickets remain to the Second Annual Mother of Pearl! Only 46 tickets remain for purchase to our Second Annual Mother of Pearl event! Don’t wait a moment longer to purchase your ticket to this great event! Join us for a wonderful brunch celebrating mothers, daughters and all the special ladies in your life. 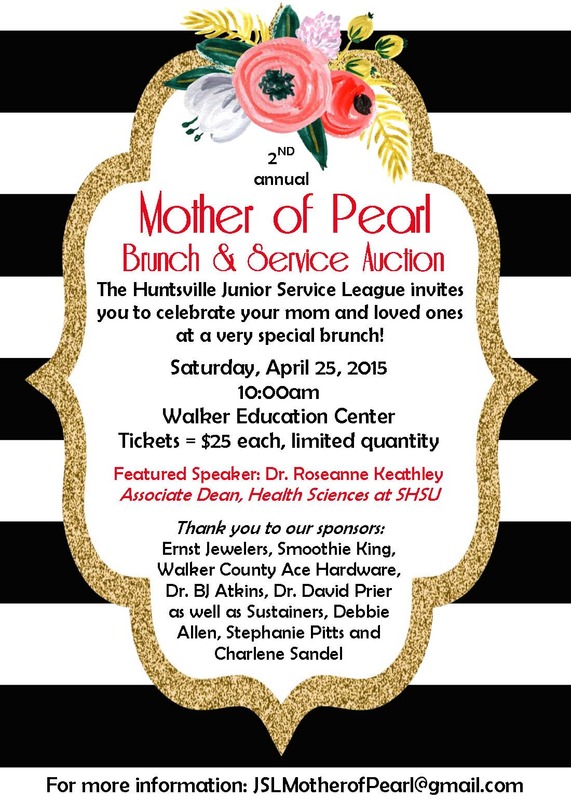 There will be a silent auction, fabulous brunch, wonderful speaker and great fellowship. We are honored to have Dr. Roseanne Keathley, Associate Dean of Health Sciences at SHSU as our featured speaker. You do not want to miss this lovely event! 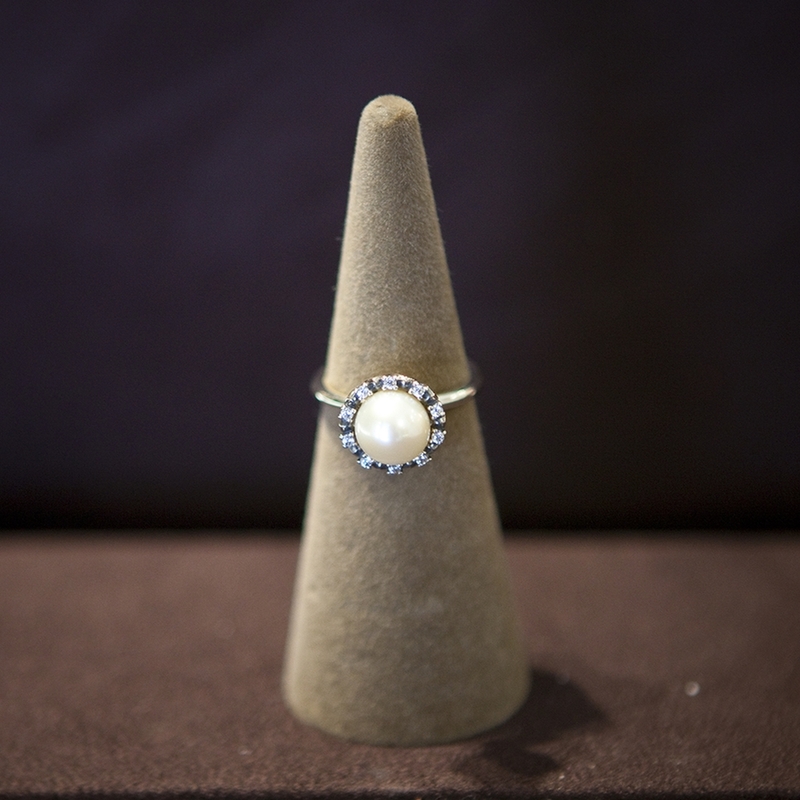 The raffle winner of this fabulous pearl ring from Ernst Jewelers will be drawn during the event, so be sure to purchase your tickets now. Each ticket is only $5, however, if you purchase 10 tickets you will receive one FREE! Contact any JSL member to purchase your chance to own this stunning Pandora ring!